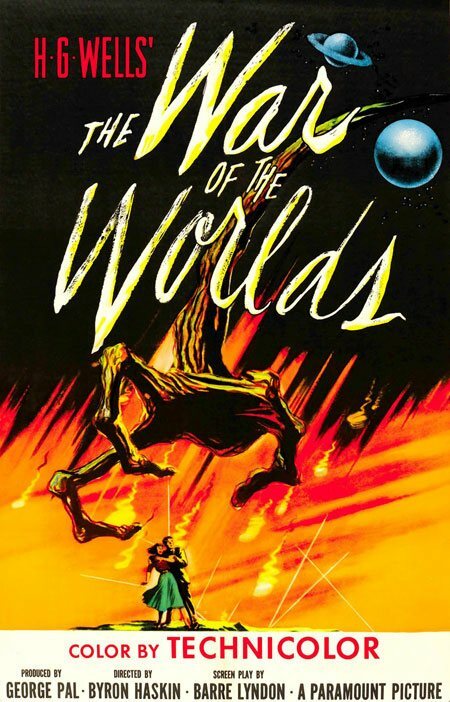 Movie posters have been around for longer than most of us have lived – thus, studying them can give us insights on how design has progressed throughout recent history. They were the main way of advertising film 70 years ago, and although we now have television commercials and the internet, posters are still one of the best forms of advertisement. In this collection, we will look at how poster design has developed over the years, looking at films that have been remade. 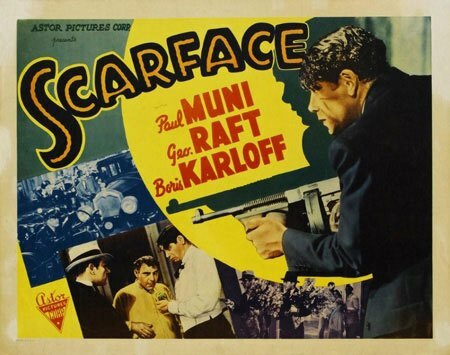 The original Scarface movie uses some good design techniques such as the silhouette-style shadow and some mid-saturated colors. 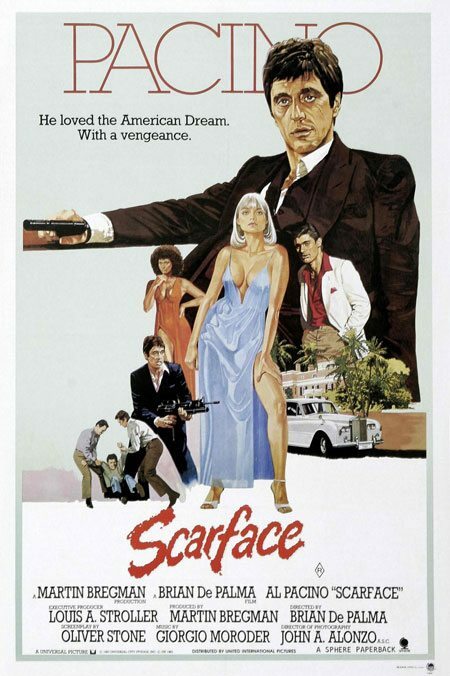 The typography of the 1983 Scarface remake is elegant and easy to read. The composition of the original The Mummy movie is great, but it has three-dimensional text that is directly above the 3D text, which seems a bit odd. 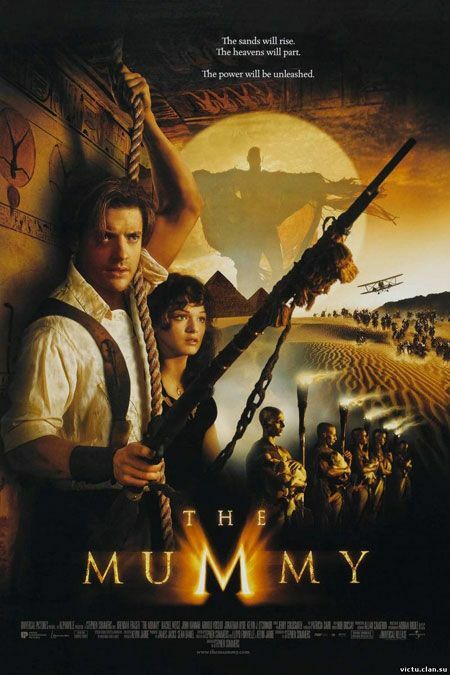 The remade movie poster uses superb digital manipulation as well as a great text effect used for the ‘M’ in Mummy. 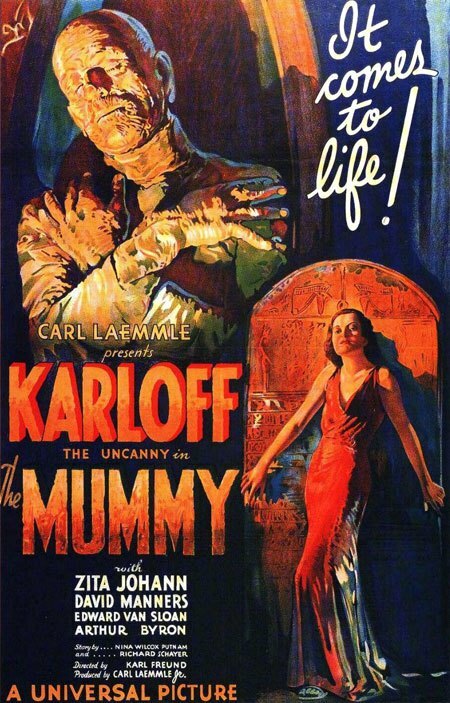 The color schemes for the poster are perfect, reflecting mummies and the desert, a central theme in the movie. The hand-painted poster combined with neat typography represents the 3D image really well. The warm and dark color scheme sets the theme for this Technicolor film. The use of subtle grunge at the top of the post draws your eyes into the incredible manipulation effects used on the portrait. Beneath the movie title, you’ll see a blurred reflection that can really play with your eyes – fitting for a horror movie. This movie poster is simple and colorful and has some great artwork. The typography used on this poster is elegant and simple, but it works well for this movie’s theme. The bright red on pure black works great as an eye-grabbing color combination. 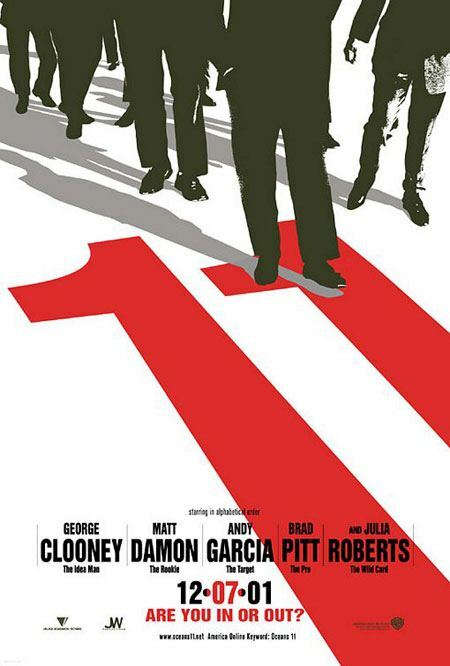 An off-white border, a simple and elegant grid-based composition is the highlight of this poster (and movie). The 90’s probably spurred some of the worst design trends as shown in this poster design. The composition is poor and none of the text in the bottom right can easily be read. 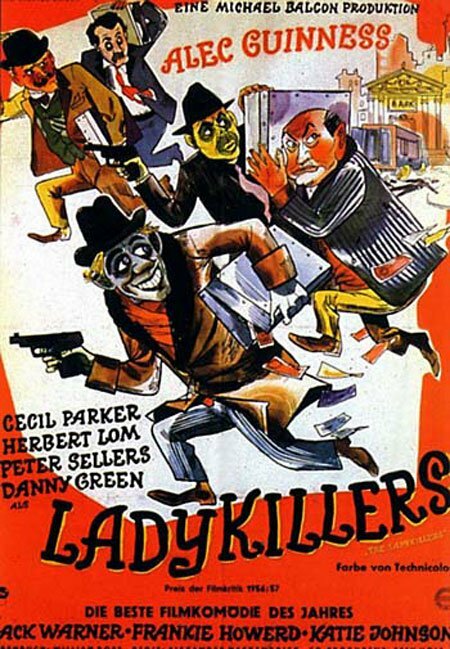 This hand-drawn poster presents us with a group of rather scary-looking men running away with what look likes heavy-duty steel cases filled with multi-colored cash. It’s a comical and traditional hand-drawn poster (when Illustrator wasn’t in the market yet). The low-opacity street scene and lights in the background adds a great feel to the overall poster, and the shadows from the four guys in the background adds depth to the poster. The majority of it is grayscale, followed by neutral browns and beiges, and followed by a great burst of what’s best described as "vintage pink", bringing your eyes towards the movie title. 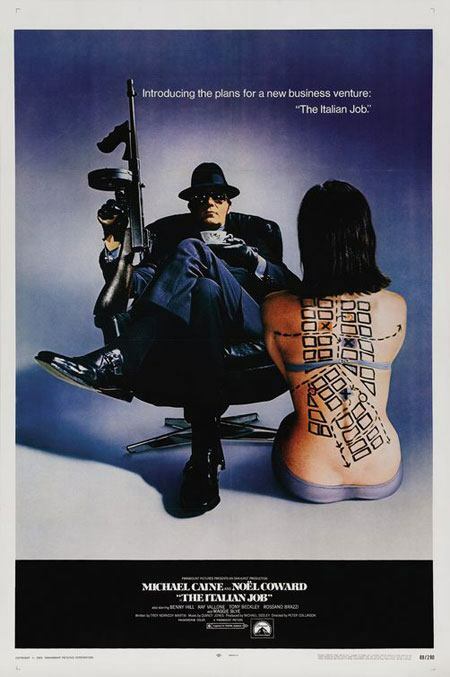 This poster uses a grid-based layout, a popular technique in the 60’s to convey modernity. The silhouette, vector-style illustration at the bottom of the poster is a great touch. The typography is superb, standing out well against the warm yellow background. The vector/silhouette style illustration used in the poster is so different to almost any other movie poster made in this millennium, that even today, people still have it hanging on their college bedroom walls. 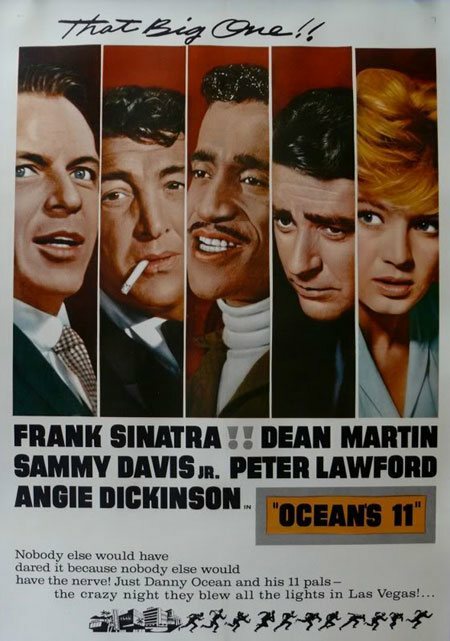 Have you noticed how it doesn’t actually say "Oceans 11" anywhere? 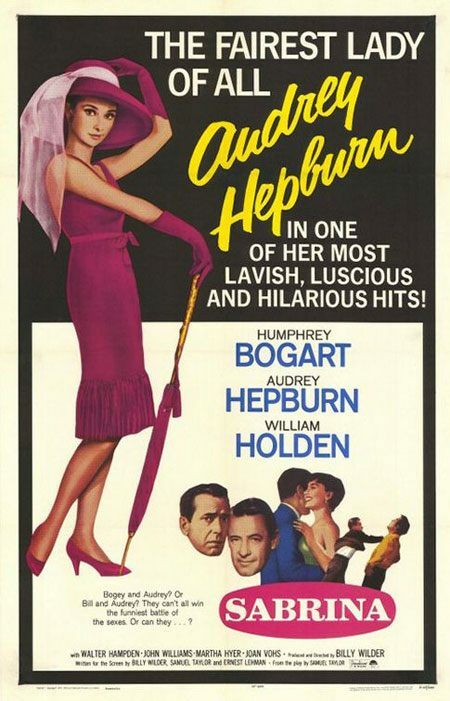 As individual design elements, this poster has some great artwork, such as the drawings, the unique movie title text effect and the duotoned photographs, but the overall composition lacks "oomph". 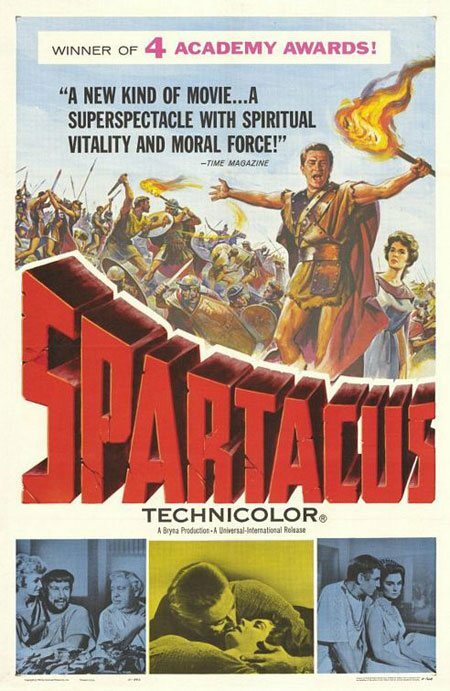 After 44 years, Spartacus was remade. The costume and photography is excellent; the sepia-toned color sets the movie’s time period. 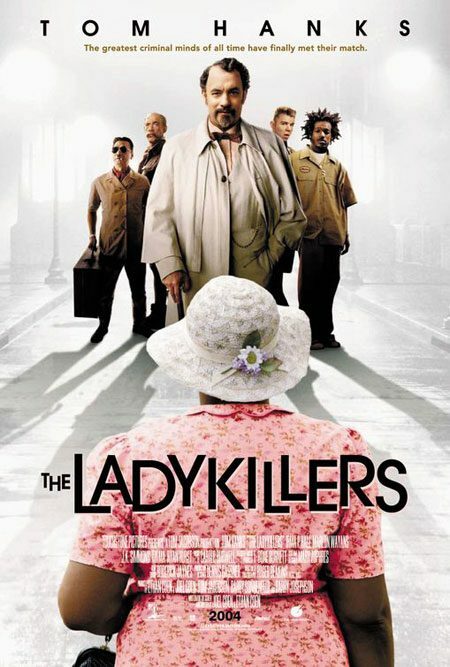 This poster design is presented on a grid and has the classic white border. The typography in this poster (especially the headline) is superb and truly unique for this time period. The color scheme of the remake seems off, and in some places, appears to be too bright. There are also some parts of the posters that are too busy. 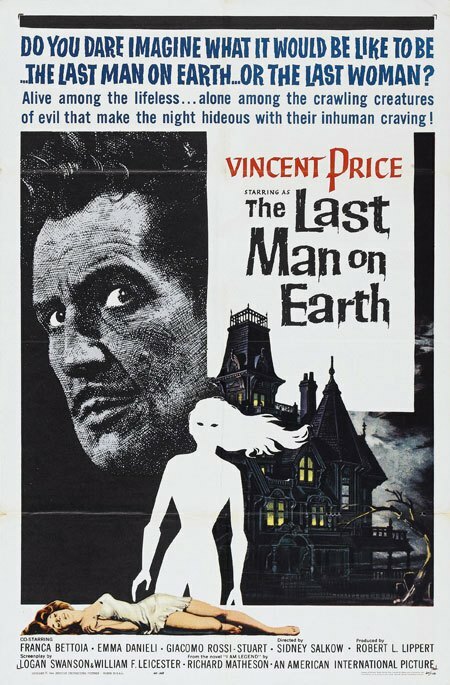 "The Last Man on Earth" is the original story of what we now know as "I Am Legend". 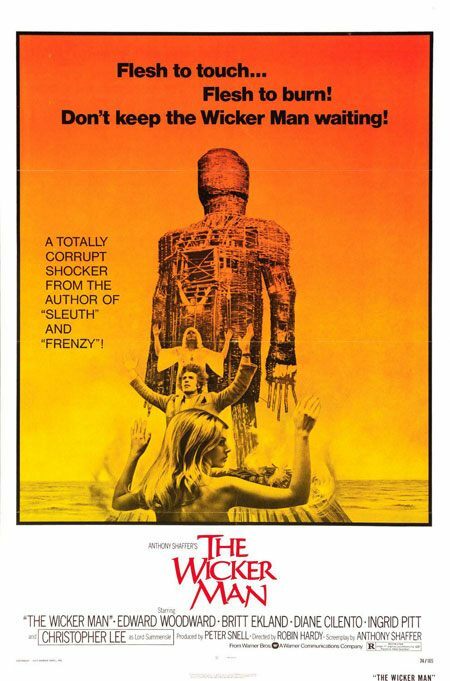 The poster is a typical 60’s horror movie poster. The designers used a lovely grid-based composition and a very limited dark color scheme. 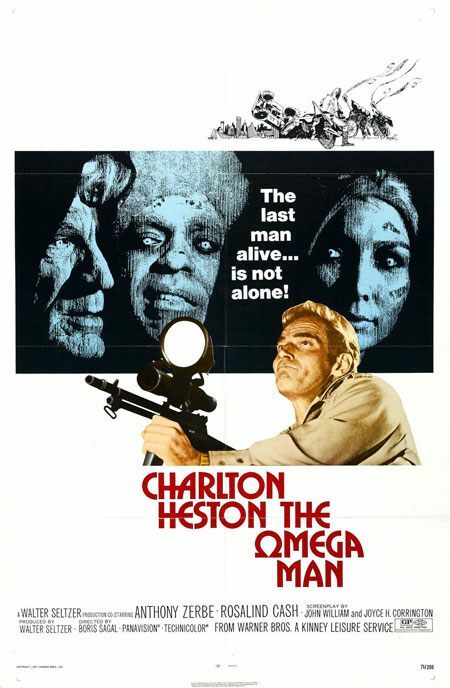 Seven years later, and the film was remade under the name "Omega Man". 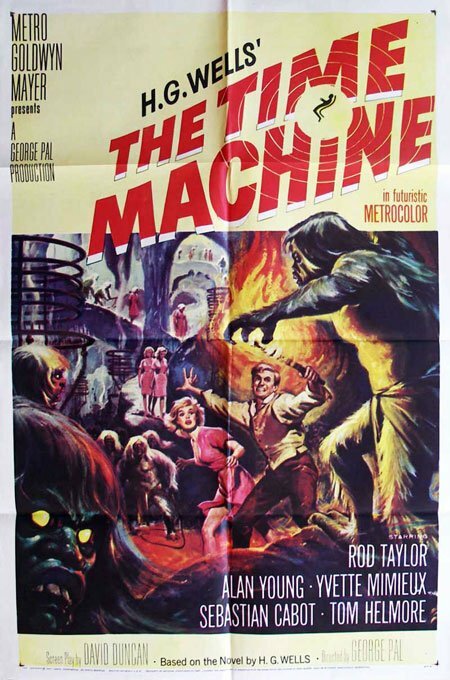 They were still using similar techniques to produce posters, and therefore this poster isn’t too different from the original. The color scheme is still very limited to dark colors, which is great for this genre of film. 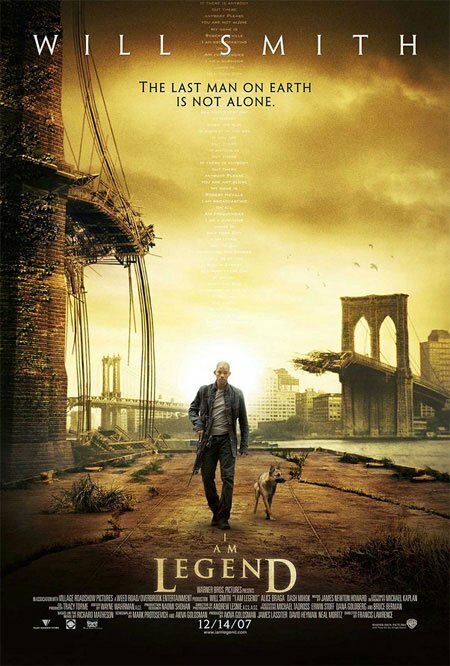 The grungy, noisy and tinted feel to the "I am Legend" poster overall is great. 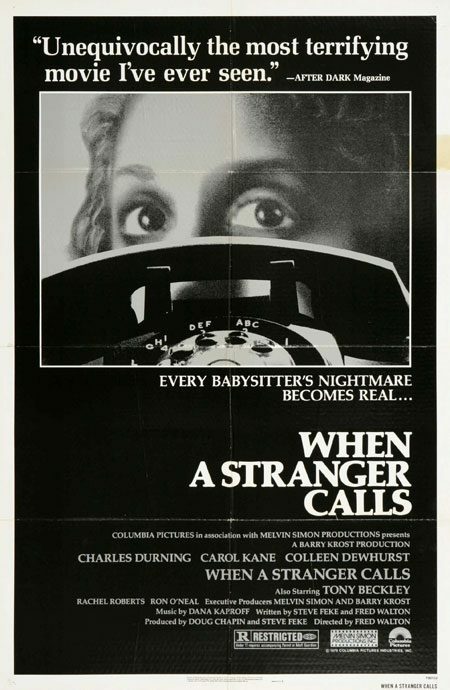 The modeling work in the background of the scene is superb, and the small centered typography going directly through the middle of the poster adds a great touch to the poster, making it incredibly unique. This great poster from the late 60’s perfectly combines the use of a bright and captivating background color gradient against black/white. The warm feel of the poster along with the black and white portrait creates a memorable design. The films logo was such as a success that it has only seen a few minor tweaks in 40 years. 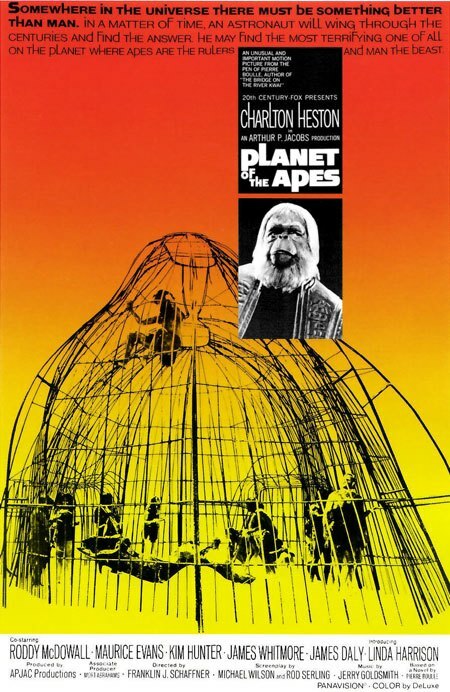 2001 brought us the modern remake of the film, featuring manipulations and montages of several scenes and photographs. 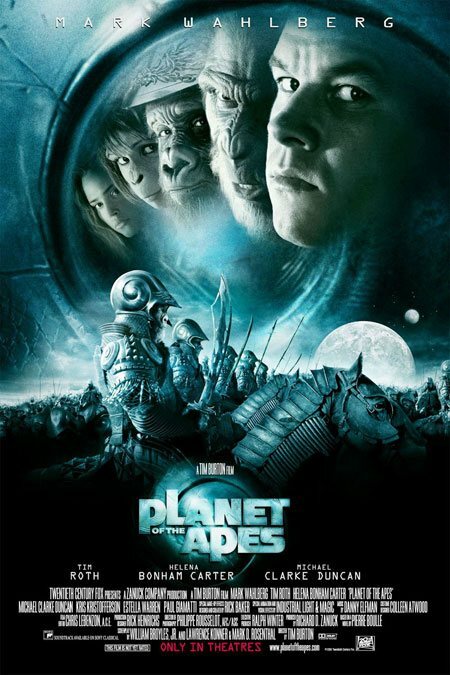 The moons in the background tops off the overall feel of the poster. 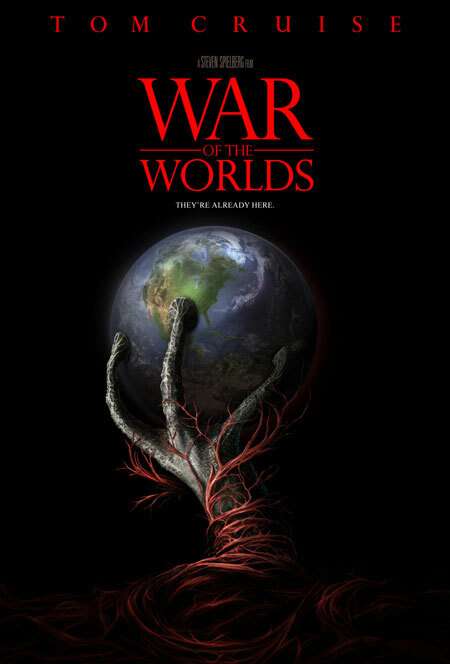 Notice that the movie title logo is still very similar to the original. The artwork in this poster is superb contained in a lovely off-white border. White typography lies on a pure black background at the bottom of the poster, making it easy to spot and read. This poster suggests the kind of film it is: business, violence, jokes and getaways. This poster goes for a cast shot and features some great photography, photo manipulation and type alignment. 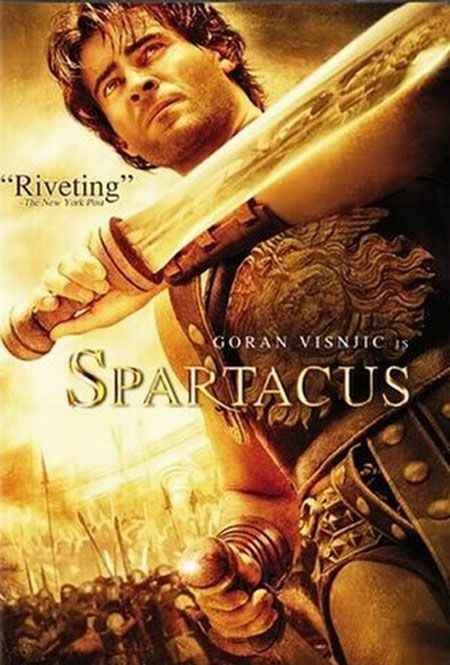 This movie poster features a bright color scheme. The typography is simple but does its job well. 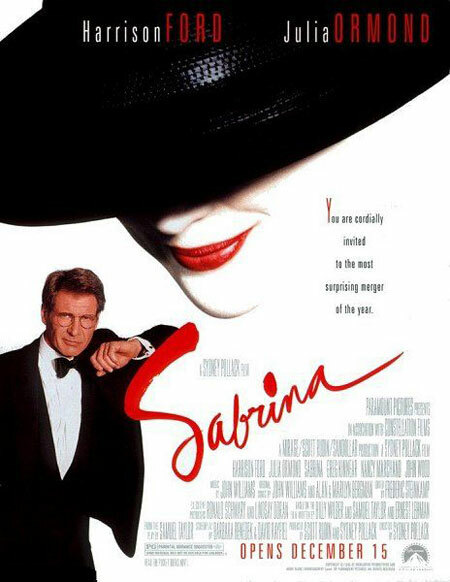 The composition of this poster is great, however,the movie slogan "Be careful what you search for…" is difficult to read against the cloud background even with a prominent dropshadow text effect. 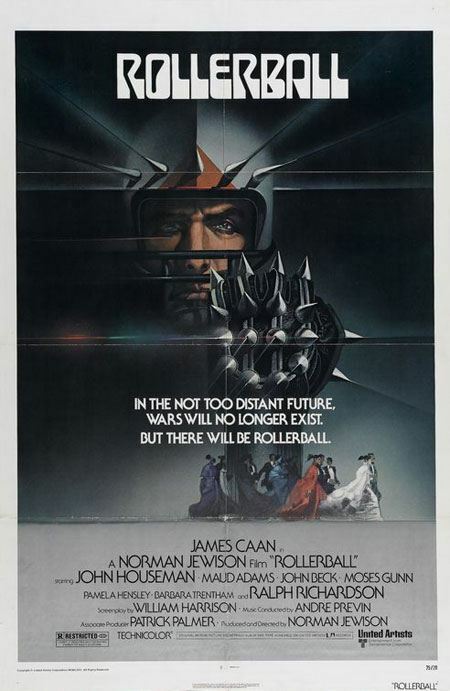 The Rollerball poster has smooth glows, dark shadows, some well-placed blurs and an overall aged/worn effect. 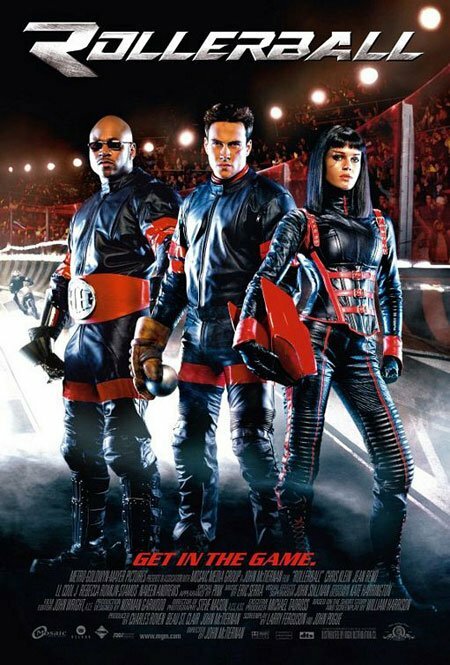 This poster design of the Rollerball remake in 2002 doesn’t do the actual film any justice. There are proportion inaccuracies with the characters versus the background, making it clearly obvious that the shot was taken in front of a green screen; the proportion and angle of the floor and their feet just doesn’t match up. Other than the excellent sketch, you can’t get much more simplistic than this poster! 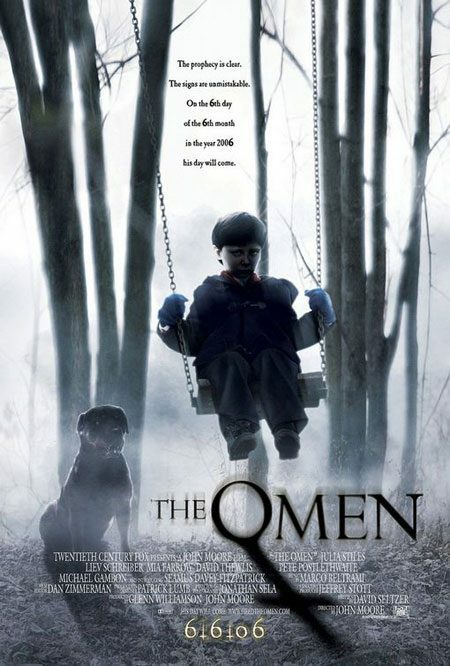 The typography is simple yet elegant, easy to read, and the use of red for the movie’s title is a great way to make it unique, memorable and slightly scary. 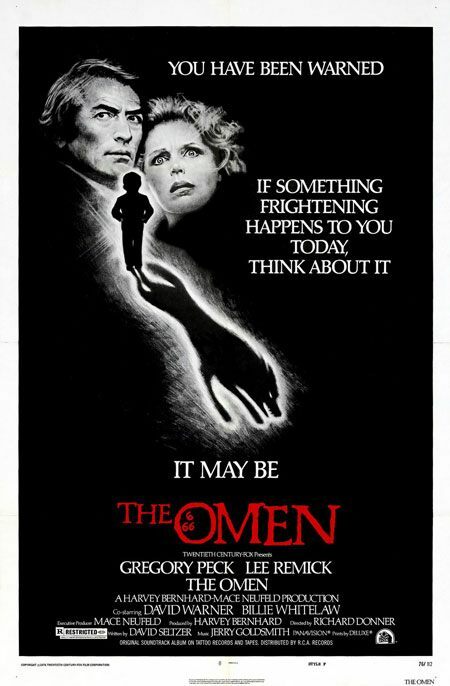 The typography ruins the poster of The Omen remake, but the color theme used effectively sets up the eerieness of the movie’s plot. Good typography, a lovely border, and a great scene in the background are the highlights of this poster design. The overall color scheme would have easily attracted people walking past the poster. The blurs, noise and texture combined makes for an excellent poster; this poster design is probably something you can’t miss from a mile away. The poster is purely grayscale and used a magnificent macro still shot and some incredible typography. 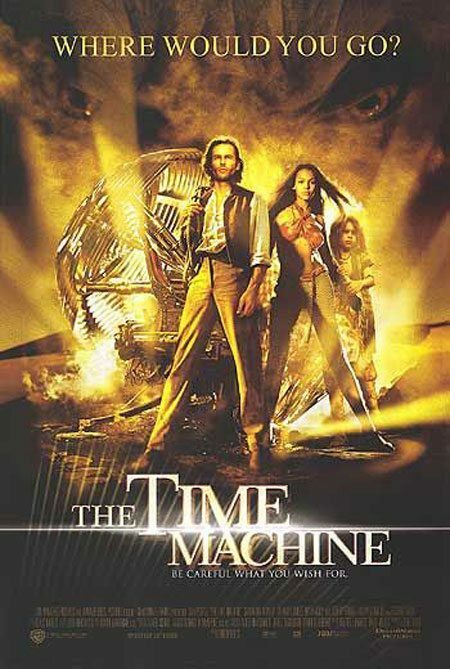 The movie remake’s poster stuck with the original design concept. The design uses a lot of dead space, leaving you in suspense as to what the movie is about. That dark silhouette, the glowing eyes, the reflection on the knife, the detail of the glove and the magnificent minimalistic typography on a white background makes for an eye-grabbing design. The ‘smashed up’ feel of the poster, the subtle grunge feel to the otherwise clean, elegant text and the overall tinted-blue effect all help set the mood of the movie. The noise on that portrait is a brilliant detail. 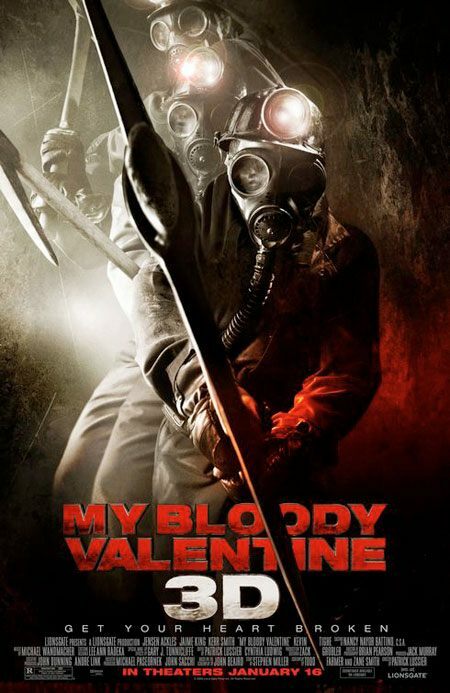 This dark-themed poster of My Bloody Valentine creates an eerie look and feel that sets the tone for the movie. 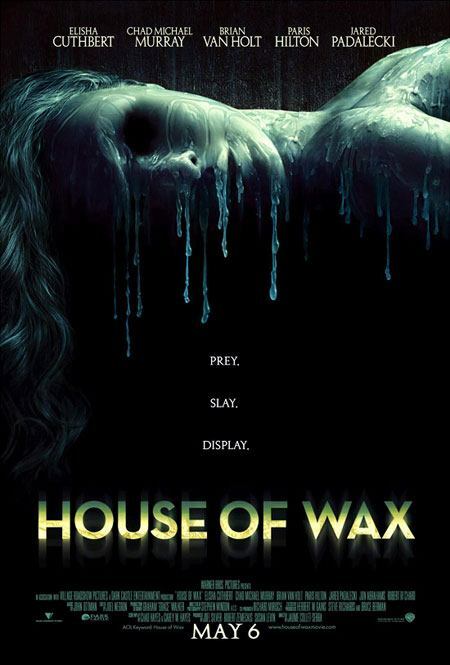 This poster has dark, grungy and noisy elements, again, to set the tone of the movie. 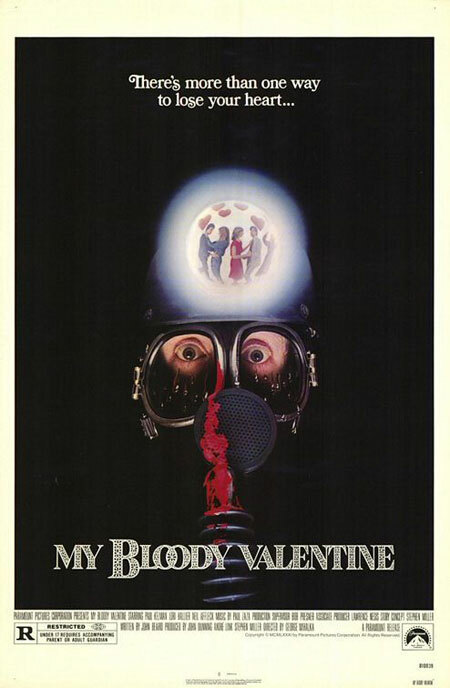 The red color works well against the dark background, making the title of the poster pop. Although the artwork is quite interesting and eye-catching, that bright yellow blade and beveled typography completely ruins the design (at least for me). 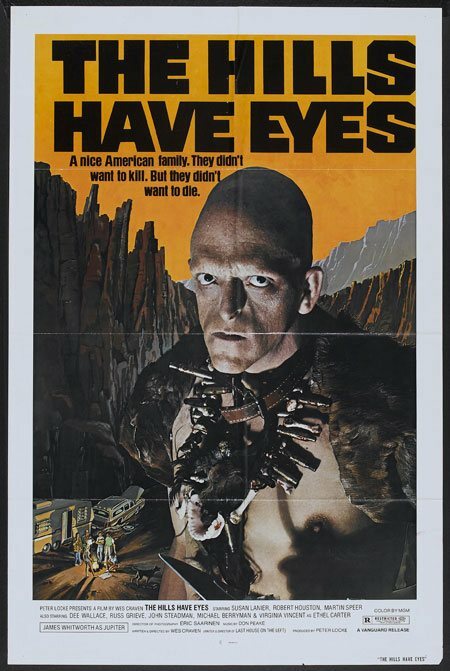 The creators of the remade "The Hills Have Eyes" liked the outcome of their first poster and decided to stick to the same style with the sequel. 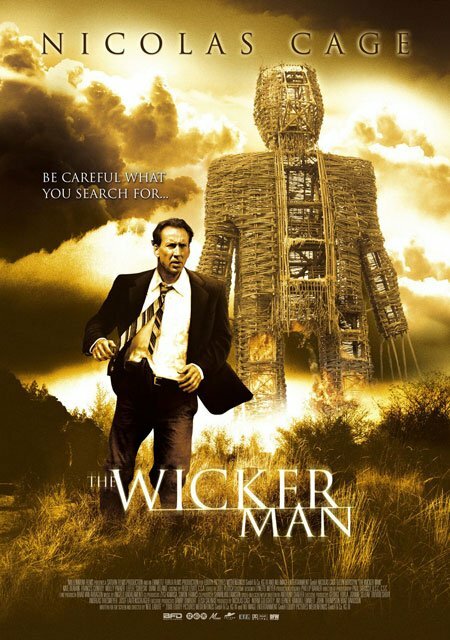 The dark edges on both the left and right side of the poster really draw your eyes into the main focal point of the poster; the unlucky human being dragged through the desert. So, what do you think? Many people say remakes of movies always turn out worse, but is it the same case when it comes to the poster and artwork redesign? Share your thoughts on this subject in the comments.